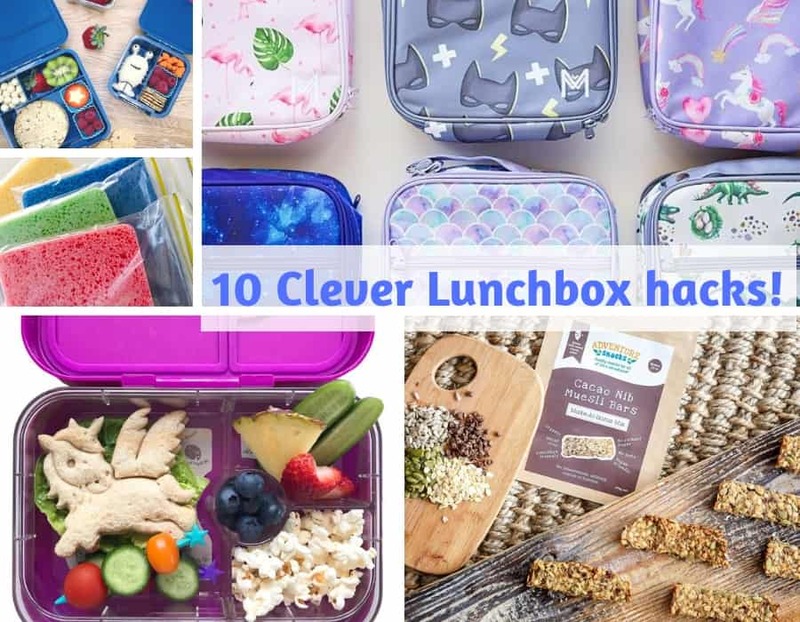 Our 10 Clever lunchbox hacks! This hack is great – especially with our weather in build up and getting hot lately! 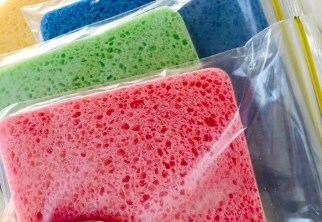 Freeze a kitchen sponge (soaked in water) inside a ziplock bag for a DIY ice pack. Pure genius and so easy and simple! Buy bulk yoghurt and create own flavours, then use Sinchies reusable pouches to save money and also reduce sugar as they can be flavoured just with fruit. Also great for smoothies – freeze them and it will help keep other food cool too. We love the idea of little lunchbox love notes! 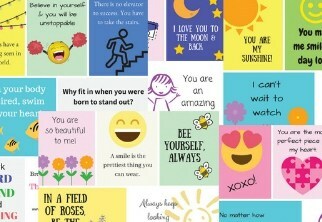 Cute, fun and a little note for your child to know just how special they are! There are heaps of Free printable ones – like these we found from the Every Day Mom Life. 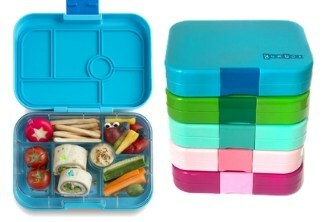 Get a good quality leak-proof bento lunchbox then it’s as easy as filling in the spaces. 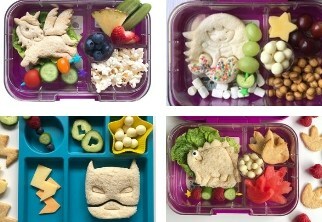 Just like these Yumboxes! Kids love them, mums love them as they don’t leak, so no mess, and can pack yoghurt/dip/sauce without it spilling. It also keeps food separate so nothing goes soggy! 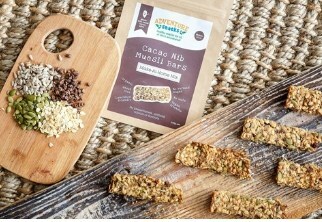 Adventure Snacks stock a huge range of bento and other lunchboxes – they also are offering our members 10% off sitewide – use the code DFLXMAS at the checkout! 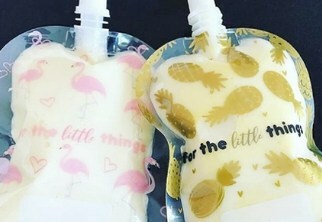 Now this hack I have heard great things about from other Mum friends – and it is on my list to definitely try out as soon I will have three kids in full time school! So I need to save time wherever I can! 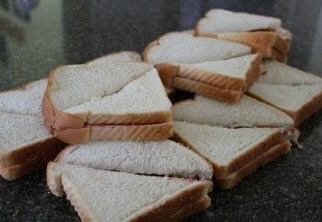 I checked out the Stay at home Mum blog for their top tips on frozen sandwiches! They have some great hints on what fillings are ok to freeze and which to avoid plus many other pointers! Keep containers/lunchbox and ice pack altogether in an insulated lunch bag – add an ice pack and food will stay fresher longer. Get a lunch bag that can be washed in the washing machine so easy cleaning. 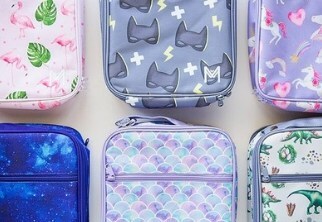 Check out these gorgeous Insulated MontiiCo lunch bags pictured above! They have made sure they can handle the Aussie heat! Plus, they come with their own gel ice-pack included to keep food cool all day! Everything tastes better on a stick? Kids (and adults) eat with their eyes. Why not get a little creative and get some food sticks and then pop various fruit,cheese,olive, anything that can be threaded onto a stick as fun, easy and healthy snack option. 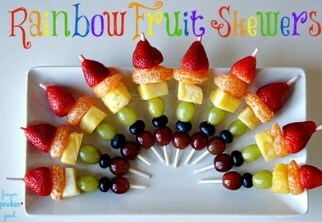 Love these Rainbow Fruit skewers from Finger pricking good! A great option to get the older kids making healthy choices and helping to make their lunches is a snack station. I think it is important to encourage the kids to choose a variety of items (ie, a fruit, a dairy item, a cracker and a sweet treat, if desired). This hack will definitely help your mornings run a bit smoother and the kids will feel in control of their choices – plus less work for Mum (or Dad)! Win- win all around. 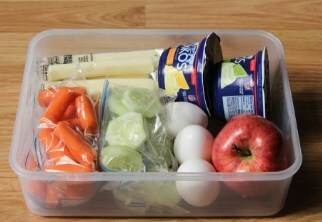 You could make a snack station in the fridge or pantry using a large container like pictured. We hope you found our lunchbox hack helpful! Please leave us a comment which is your fav and which you will try out this week! Happy lunchbox making! My name is Amy and I am Mumma to four munchkins aged 7 and under - two girls and two boys! I call my life a happy chaos!! I started Darwin Family Life and this blog because I love Darwin and we chose to raise our family here. I am a long term Territorian and I wanted to share my tips and advice with new and existing families. Darwin Family life also link families, the community and small businesses together. Connect with Darwin Family Life on our website, Facebook page (@darwinfamilylife) closed Facebook group - Darwin Family Life Community Hub and Instagram @darwinfamilylife.